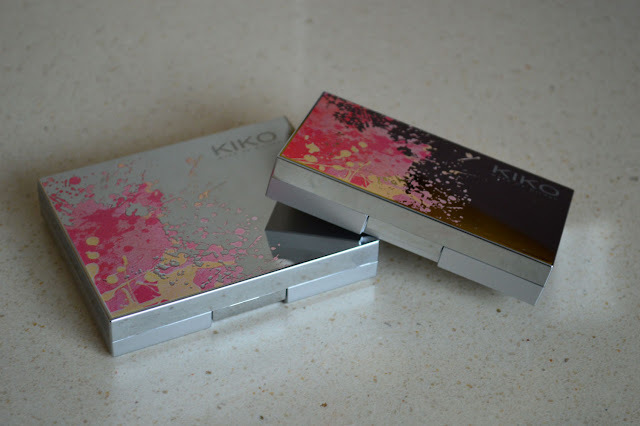 Beauty In The Mirror: KIKO hits the UK! 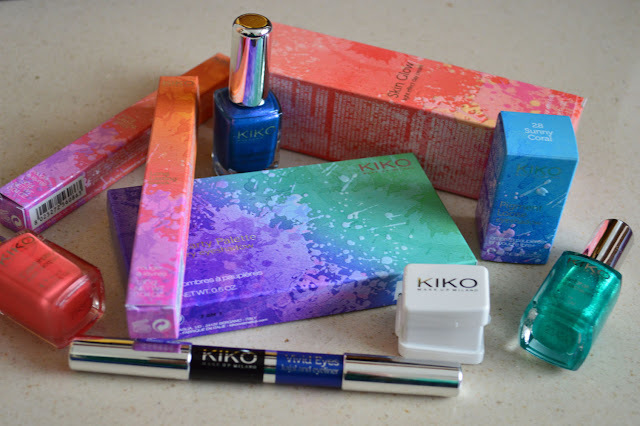 KIKO is an Italian brand, they cover makeup, nail lacquers, skincare and more. They've recently launched in the UK. The price point is very reasonable and on par with most high-street prices. After browsing their online shop I noticed some products where surprisingly cheap whilst others where a little more than I expected. I was very kindly sent a selection of their products to try. So apologies for the mass of photos, I wanted to give you peeps a good idea about the brand and their packaging. On first impressions I was won over by the eye catching packaging. Lovely bright boxes, just what you want to see at this time of year. They have a permanent makeup line as well as seasonal collections. 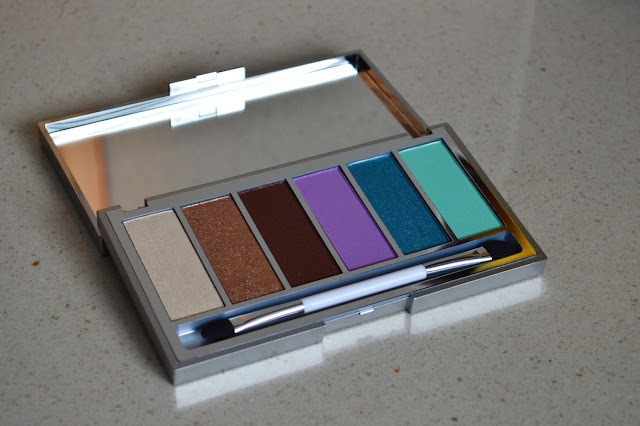 Their newest collection being Colours in the World packaged brightly in aqua/purple or coral/pink boxes, the collection is certainly eye catching. 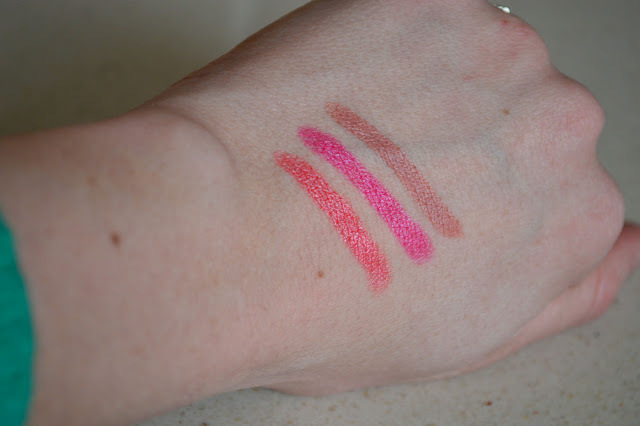 My top picks from the collection is the Long Lasting Lipsticks, these are without a doubt a must try! Long-lasting, moisturising and great pigmentation. I've been wearing all three shades. The next top pick is the Explosion Multi-Tone Blush, a trio of shades. 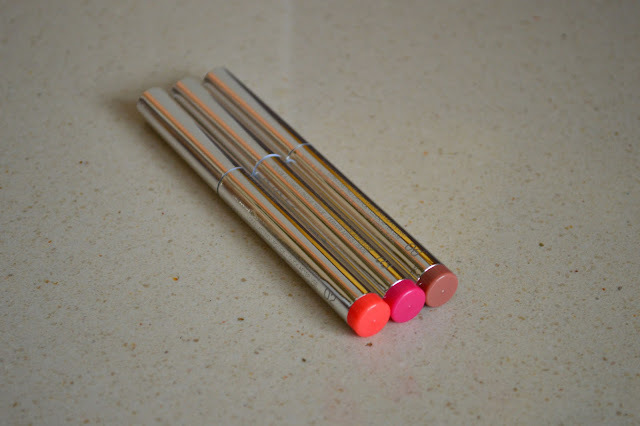 Because the compact is a generous size, with the right brush you could singularly apply these. But if like me you haven't got time I just swirl my brush over all three shades and enjoy them all. 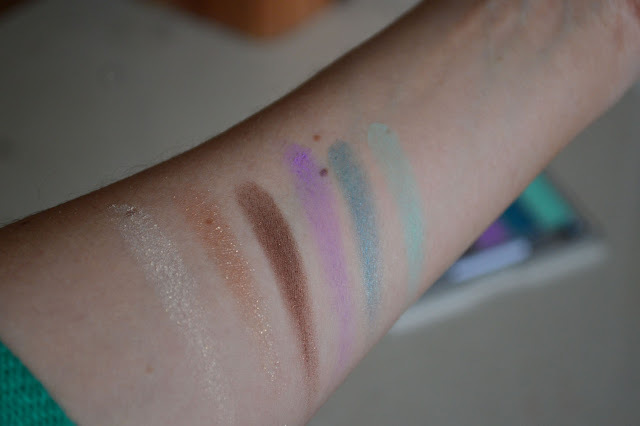 The products which I've tried have all been well pigmented, so a gentle hand is needed with the compacts. 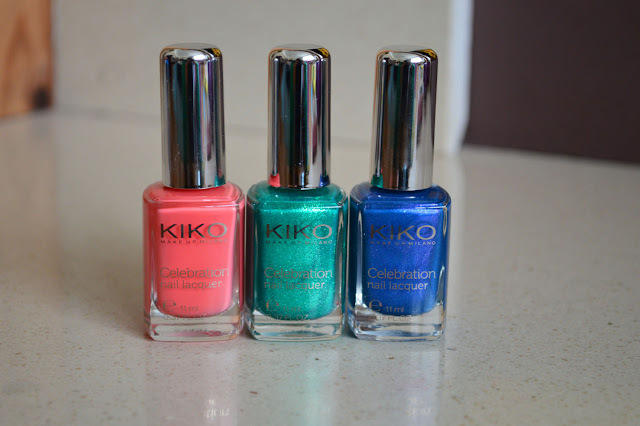 The last top pick is the Celebration Nail Lacquer, I've been wearing the beautiful creamy coral shade. Well in actual fact I've gone a little coral crazy! The packaging is adorable to begin with pity it seems so clunky!